Tickets to The Fabric of India include admission to Life: Gillian Wearing. December 13 | 6:30 p.m.
December 16 | 3–4 p.m.
December 27 | 6:30 p.m.
January 3 | 6:30 p.m.
Cynthia Amnéus is Cincinnati Art Museum Chief Curator and Curator of Fashion Arts and Textiles. Amnéus has more than twenty years of experience in her field. She received her B.A. from Edgecliff College of Xavier University and her M.A. from Illinois State University in textiles and fibers. She has lectured throughout the United States and published in various scholarly journals including the Journal of the American Institute of Conservation, The Journal for the American Society of Jewelry Historians, and the Berg Encyclopedia of World Dress and Fashion. In 2004, Amnéus won the Victorian Society of America’s Ruth Emery Publication Award for A Separate Sphere: Dressmakers in Cincinnati’s Golden Age, 1877-1922. She curated and authored the accompanying catalog for Wedded Perfection: 200 Years of Wedding Gowns (2010). 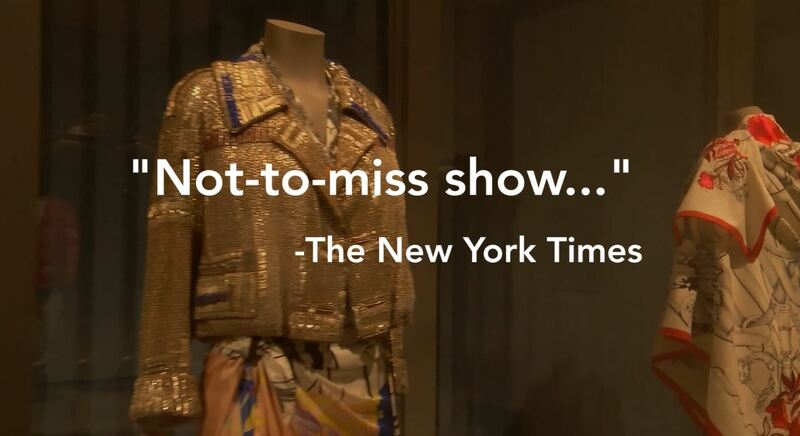 Amnéus curated traveling exhibitions High Style: 20thCentury Masterworks from the Brooklyn Costume Collection (2015) and Iris van Herpen: Transforming Fashion (2018), and guest curated exhibitions for the Textile Museum, Washington D. C. and the Crow Museum of Asian Art in Dallas. Organized by the Victoria and Albert Museum in London, this exhibition is the first to fully explore the dynamic and multifaceted world of handmade textiles from India. The finest examples from the V&A’s world-renowned collection, together with masterpieces from international partners, leading designers, and additions from the Cincinnati Art Museum’s own permanent collection, are on view. The six thematic sections explore courtly splendor that was proclaimed by sumptuous fabrics, while religious worship found expression through finely crafted sacred cloths. India’s handmade textiles are embedded in every aspect of its identity and the history of these fabrics date back at least 6,000 years. The oldest surviving cotton threads, from around 4000 BCE, were exported from India. Dyed textiles from the region are documented as far back as 2500 BCE. Textiles are so central to India’s identity that in ancient Greece and Babylon the very name ‘India’ was shorthand for ‘cotton’. Centuries of global trade shaped by the export of Indian textiles exemplify the robust aesthetic exchange engaged in by artisans who reflected the culture of their clients in their work. India’s celebrated textiles survived the threat of industrialization and were used to unite India as a symbol of power and protest in the quest for independence in the early twentieth century. Today, Indian designers are adapting traditional techniques to create exciting new fashion, art and design for a global audience, giving India’s textile history a new relevance in the modern world. You don’t have to travel 8,000 miles to experience India’s unique sights, sounds, tastes and traditions. Before (or after) you visit The Fabric of India, immerse yourself in Indian culture right here in Cincinnati. Find tranquility in a yoga practice or by listening to music by Indian artists. Dine with family and friends at an Indian restaurant. The possibilities, and adventures, are endless. Stout brewed with curry spices and vanilla. Available on draft and 4-packs at the Listermann taproom, and by the bottle at the Cincinnati Art Museum Terrace Café. A portion of proceeds benefit the Cincinnati Art Museum. It is generously supported by Truepoint Wealth Counsel, The Markarian Foundation, The Wohlgemuth Herschede Foundation, Cincinnati Asian Arts Society and The Art of Dressing.